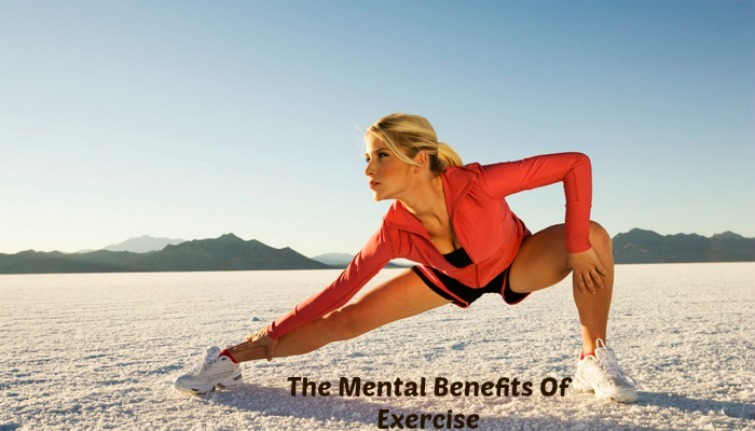 The Mental Benefits Of Exercise - Welcome to SarahKesseli.com! With the new year right around the corner, it is a given that so many of us will commit to ‘lose weight’ this year through diet and exercise. Although, I am not one for New Years resolutions (that’s for another day! ), I do believe that if a ‘resolution’ is going to get you exercising and eating right, then go for it! ? But instead of focusing on the scale and the physical benefits, why don’t we take a different look at exercise. Like how it can help you mentally! I found a great article that outlined 12 Mental Benefits Of Exercise and I thought it would be perfect to share with you today! It will make you feel better! Exercising releases endorphins, making you feel happy and positive about yourself. It’s an overall mood booster!Exercising regularly will release tension. This translates into solved problems with depression and stress. Builds confidence! When you exercise and relieve that tension while taking care of yourself, you can’t help but be proud of your accomplishments. You feel like a brand new you and you know you look good! Helps your body have a high pain tolerance! Exercise can make you sore sometimes. At first it might be horrible, but after it happens a few times you learn how to deal with it. This leads to an overall increase in your pain threshold. Works to improve your brain power! Exercise causes your body to create more brain cells and connections. This means your brain becomes more powerful and has a greater capacity for learning. Exercise improves your character! Sticking to an exercise routine will help you develop the qualities of discipline, dedication and determination. Self discipline! It also helos you develop skills of compliance and adherence. These skills will have a positive effect in all areas of your life. Can help with addiction recovery. As mentioned before, exercise can help you develop discipline. Overcoming addictions can become a lot easier when a workout routine is in place. Helps combat depression generic lexapro. Depression is caused by a chemical imbalance in the brain. Exercise induces ‘happy chemicals’ to be produced more abundantly. It reduces anxiety. Using your energy in a product way helps you relax better. Ever heard of ‘runners high’? That’s right! Vigorous exercise can make you feel great! Concentration. Exercise can boost your concentration and mental awareness. As you can see, the benefits of exercise go far beyond that of just the physical piece! Yes, we all want to look good, but if you also remember the benefits listed above, sometimes it is easier to stick with that exercise program! *What is your choice of exercise for a great mental release? !